Check in to get a city wristband, gear up, and hop on one of our continuously running shuttles to the river. To Float time is about 2 -3 hours. There are a few tube chutes along the way. ( A tube chute is an area where water is diverted from the river into a winding channel.) Otherwise it’s a pretty calm float. Exit when you see the signs “Last Public Exit”. Head to the Comal Tubes Pickup Spot and Our Shuttles take you back to your car. The Comal is Spring Fed, so It’s Crystal Clear, and 72 degrees Year Round! Our Shuttle drops you off at Prince Solms Park, the main entrance of the river. You will enter the water just upstream of the world famous Tube Chute. The float is 2 hours long or so. A few hundred yards after the last public exit, the Comal River pours into the Guadalupe River Tubing Area. In total, its Just over 2 miles long, making it, according to Guinness Book of World Records, the “Longest, Shortest River in the World”. (Confused Yet?) 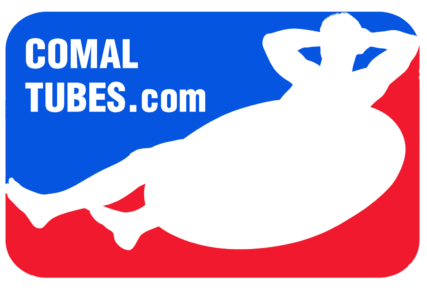 Watch the video, to see what its like. 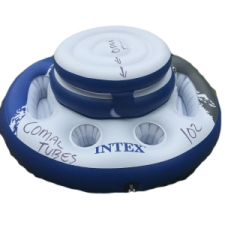 For Comal River Tubing, we have it all! 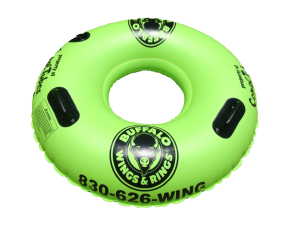 Our Gift Shop stocks everything you need to have a Fantastic Tubing Experience. Drink Containers, Koozies, Sunscreen, Towels, Apparel, Water Guns, Sunglasses, Sunglass floats, Soda, Snacks, Ice, Waterproof Boxes, Waterproof Cameras, Souvenirs, Shirts, Shorts, Hats, Water Toys, And More! Not to mention, the friendliest, most knowledgeable staff in town. Bring a group of Friends! Everyone knows that a Party Bus is the Ultimate way to Get to your favorite outfitter and safely back home. They’ll pick up your group anywhere in Texas. They can service pretty much any size group with their impressive fleet. 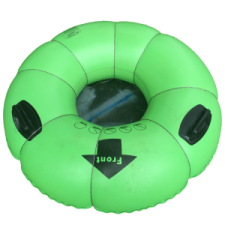 You’ll also get Group Tubing Rates for your float. Most importantly, you need no designated driver, They gotcha covered! Rentals Include: 1 round trip shuttle with regular tube and free parking. Reservations Recommended for 20+ Call 830-387-4408 to book Groups. One person must pay for group to get group rates. Reservations Required for 20+ Call 830-387-4408 to book. The Float is very consistent. 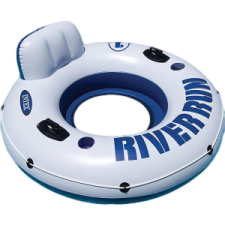 Great for Tubing, the river maintains a 72 degree temp year round. This is because the waters of the Comal come from underground springs. The result? The most refreshing float EVER! These are live readings, they are updated every 30 seconds. “Recreational,” Means Tubing is Good! Come float with us.